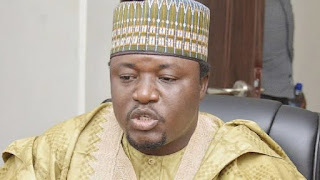 The president of Arewa Youth Consultative Forum (AYCF), Yerima Shettima, has warned those raising their heads for 2023 presidency after 8yrs of President Muhammadu Buhari to go and rest. Shettima who stated this during an interview with TheSun, was speaking at the backdrop of insinuation that they will be power rotation in 2023. The South-East and Southwest in the ruling party has been clamouring for the position but Shettima said the North will present another candidate because Buhari’s administration was not in their favour. He said: “Buhari’s administration has not really benefited the North because we are yet to see meaningful development. “What most Northerners know is that they have a brother who is the president but that has not translated to anything meaningful to those down there. “Most of those who are supposed to spearhead the execution of landmark projects in this administration are from the South-West. “As far as we are concerned, President Buhari’s administration is a government of the South-West because almost all the goodies were given to them, the Arewa leader said. When asked if the North will take another shot at the presidency after eight years of President Buhari. Shettima said… “You can be rest assured that it will definitely happen. “I am a leader and an opinion shaper in the North and when I tell you that we are considering supporting a Northern presidency in 2023, you better believe it because it is not just my personal opinion. “The North has not benefitted anything from Buhari’s presidency because many northern states are still impoverished and under developed. The rate of poverty in the North has become worse than it was in 2015. “We cannot beat our chest and say that this government has favoured the North. The first four years of Buhari was a waste and we cannot expect any magic to happen in his second tenure; it is not possible. “Already some South-Westerners are raising their heads to claim that it is their turn in 2023 but for us in the north, we would plead with the South to bear with us for another 12 years because we need to feel the impact of governance. In 2023, we will ensure that we present a credible Northern son to contest and we will also expect the Southern people to have the understanding on why they should support us.